A lot of people have a better framework when they think of guided meditation as opposed to an entertainer telling a “plant” in the audience to hop like a chicken. For those who don’t know, guided meditation is a type of meditation during which sensory information is suggested by someone else to serve a relaxation-oriented end. Often, a soft-spoken man or woman will be beside the meditator (or, as is common in the Internet age, an audio file found on YouTube or iTunes) describing an imagined natural environment—a beach, a forest, a hill, or even a fantasy world—that will help the meditator reach a relaxed and serene state. Like guided meditation, hypnosis also involves an intimate communication between two people where one guides the other. 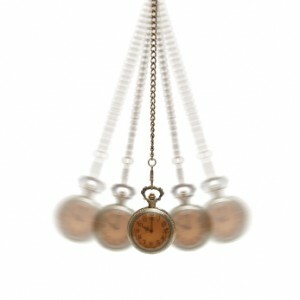 Further, relaxation is also crucial in hypnosis in order to embark on an imaginative journey. So there’s a lot of overlap here; however, they’re not identical. Where guided meditation limits itself to a passive state of relaxation, hypnosis uses that state of relaxation for active behavioral change. Usually guided meditation puts you into a very clutter-free and calm state—that’s it. For hypnosis, that’s only part 1. The second part is targeted neuro-behavioral change for a specific issue: drugs, alcohol, fears, weight loss, etc. So we use your concentration to effect a very specific change. It’s not snooze time; it’s time to wake up. What’s more, I add a life-coaching component, which very few other hypnotists successfully do. For more information on how I successfully fuse hypnosis and life coaching click here. This entry was posted in hypnosis nyc, Life Coach, life coach new york, mediation nyc and tagged guided meditation, hypnosis by Dr. Errol Gluck. Bookmark the permalink. worth writing a comment here! Really needed to mention u really did a tremendous work. So am I interpreting your comments correctly in saying that hypnosis and guided meditation achieve essentially the same mental state, and that is it the purpose, and the “actions” that are taken during that state, that differentiate the two?